The best passata contains nothing else. How can we harvest the tomatoes and turn them into Passata in less than a day? Because our field it’s just 2 km away from our plant. 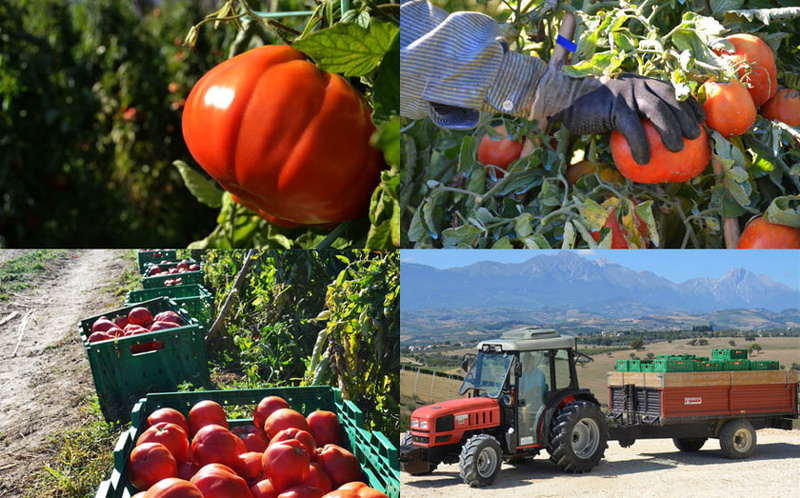 Our tomatoes are kissed by the sun of Abruzzo every day and our farmers are continuously keeping an eye on the field to ensure that tomatoes are growing well, are sweet, with few seeds and that will be perfect for the harvest-time. 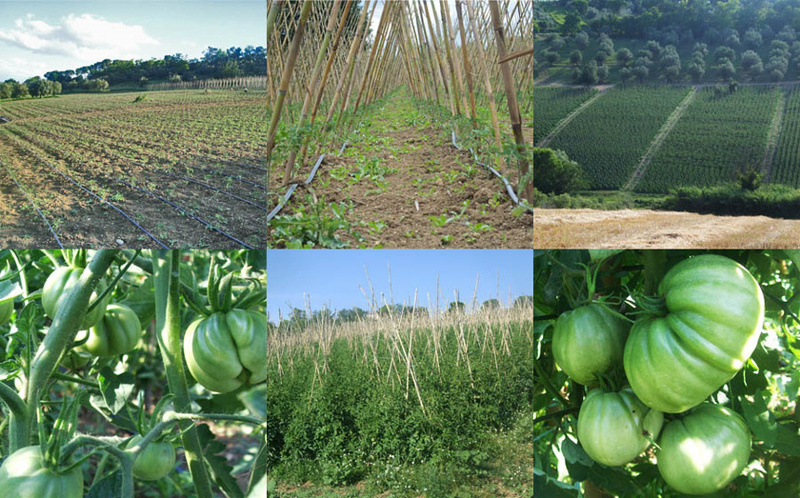 At the beginning of the season, the little tomatoes plants are placed in the field and, after they’ve grown to a certain height, reeds (that are hand-picked) are planted next to the tomatoes to let them branch up. 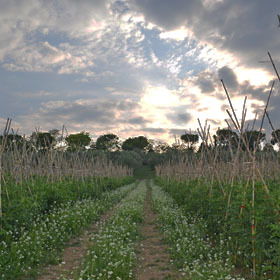 This process allows the tomatoes plants to even reach height of 2 meters. 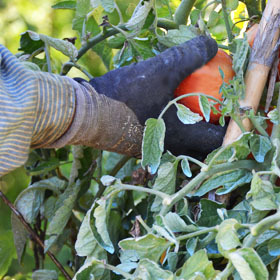 The tomatoes are hand-picked when they’re mature. 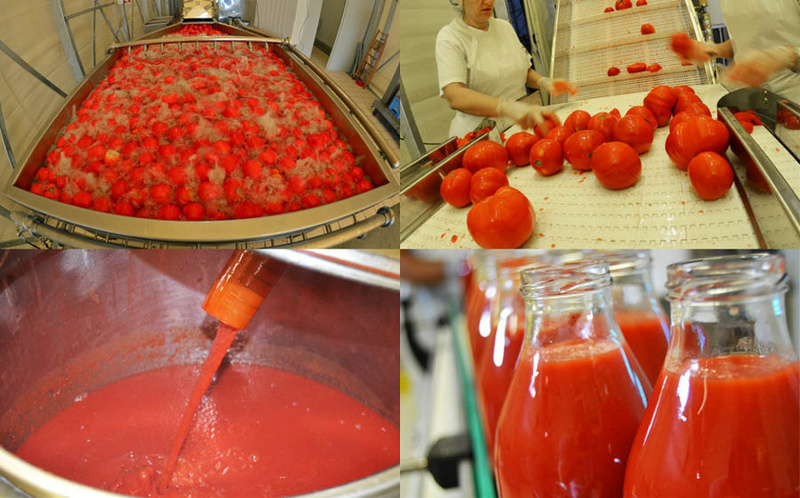 This heavy daily task allows the tomato to release all its qualities when will be processed into passata. 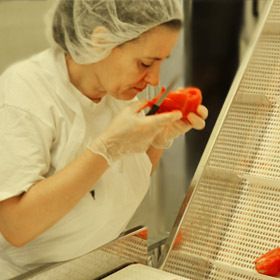 The tomatoes are washed and then hand-picked by our expert workers. They select only the tomatoes that are complying with our organoleptic specifications (like color, shape, smell and taste). The following step is boiling them till they reach the optimal consistency and then quickly processed into passata. Salt is added and then sauce travels inside a stainless steel pipes system to avoid contact with air to reach the bottling department. The filled bottles are now pasteurized to ensure hygiene and a long shelf-life.